Our next stop on the map was Dallas. It's where I grew up and where my family still lives. After being on the road for a month and a half, we were ready for a temporary break from our nomadic lifestyle. But we ended up staying in Dallas about two weeks longer than we expected, which turned out to be a great thing that improved the future of our trip by about a million percent. The first weekend we were there, we had a front yard party/open house so everyone could check out the Airstream and catch up with us while we were in town. It was really wonderful to see old friends and meet some new people while drinking beers and hanging out around the fire pit. And it was encouraging to get so much positive feedback. We got to spend lots of time with my family and friends and remember briefly what it was like to live in a regular, stationary house with luxuries like space, a washing machine and a dishwasher. Not that we had those things in New York. We saved a ton of money, not spending anything on hookup fees (we parked in front of my parent's house for the whole three weeks), gas or groceries. We also made some money while helping the 'rents out, selling a bunch of old stuff they'd been meaning to get rid of for years on Craigslist and in a garage sale. We got vinyl stickers for B.B. and Loretta and a stamp for making business cards with the newly designed "The Democratic Travelers" logo. So now we're fancy and professional. And we're handing out our cards like hot cakes. John worked really hard to redesign our logo as well as create a logo for his freelance web developing business, Seriously Awesome. 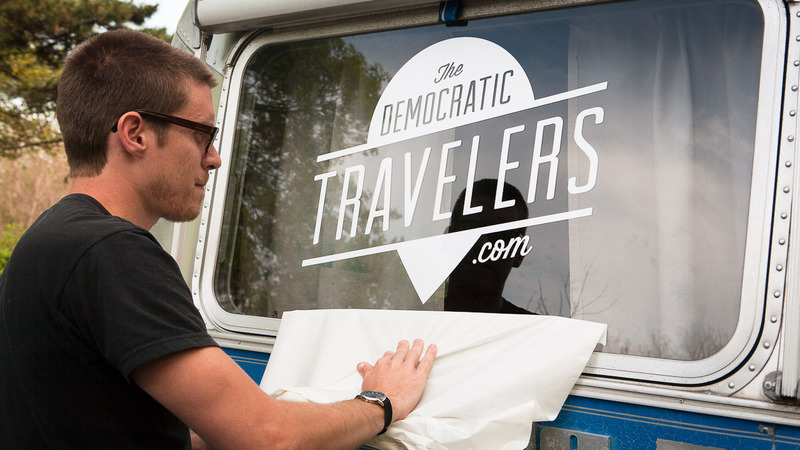 He made some seriously awesome upgrades to The Democratic Travelers website and made himself a nice little website for himself, showcasing the beautiful websites he's built for clients. At the aforementioned garage sale, we met a writer for The Dallas Morning News (whose children bought up our whole stock of Beanie Babies) who took an interest in our travels and wrote a fantastic piece on us. His article snowballed into a mini-deluge of press, which exponentially increased our site visitors, suggestions and votes. We were super excited! We also became hell-bent on getting a dog in Dallas. We browsed the pet section of Craigslist daily. We went to multiple adoption events and shelters. We were to the SPCA three times in one week. 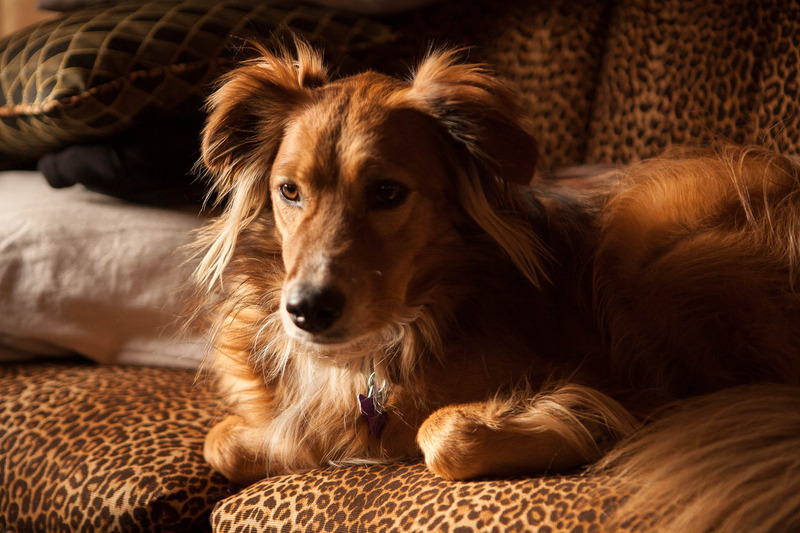 The third time, we found the perfect pup; a three and a half year-old golden retriever/australian shepherd mix (with a few other breeds thrown in) with a calm, relaxed demeanor. It was love at first sight. 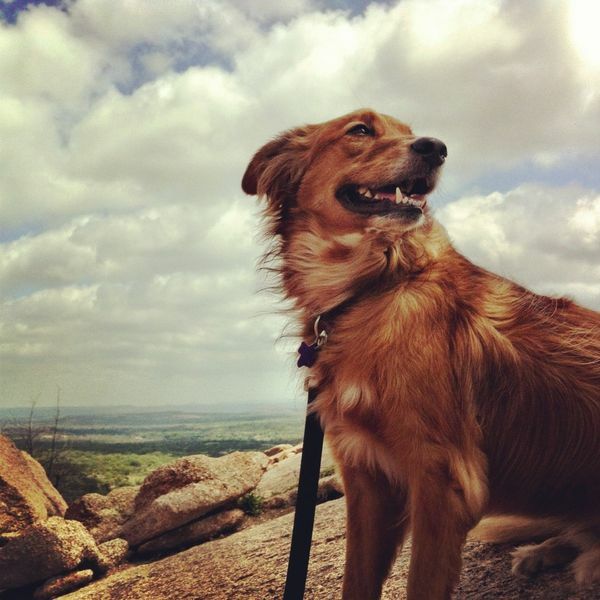 We adopted him on our last day in Dallas, named him Bulleit and he's been our traveling companion ever since. After three long weeks of stationary living, it was time for us to continue on our journey. We had gotten a little rusty, but we had a new pup, the excitement of being in the papers, a lot more country to cover, and the Wild West to explore! Special thanks to Wayne C. (who suggested See your family and friends) for making this blog post possible!